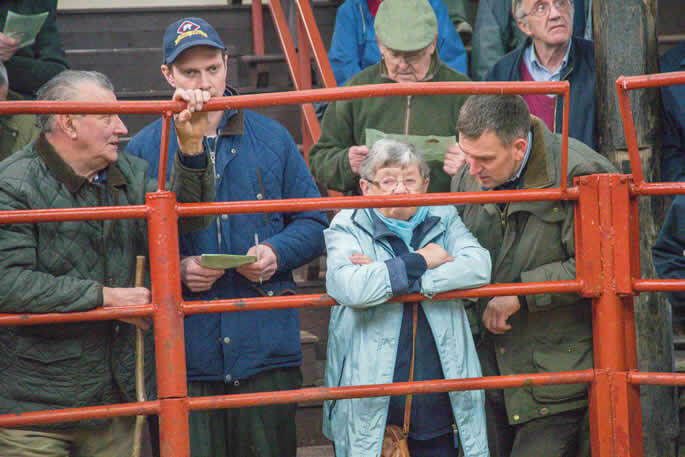 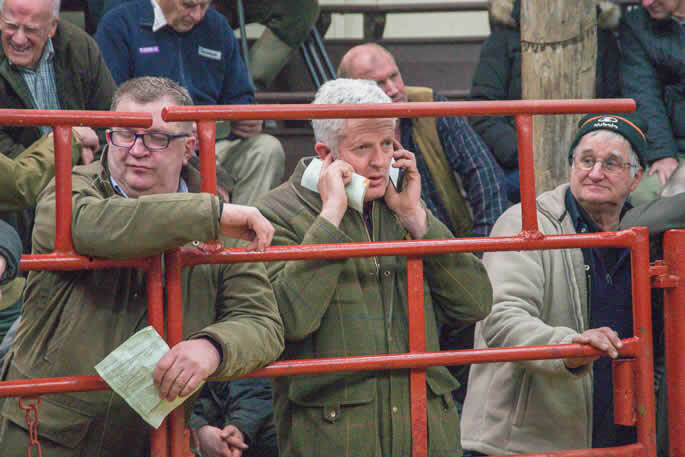 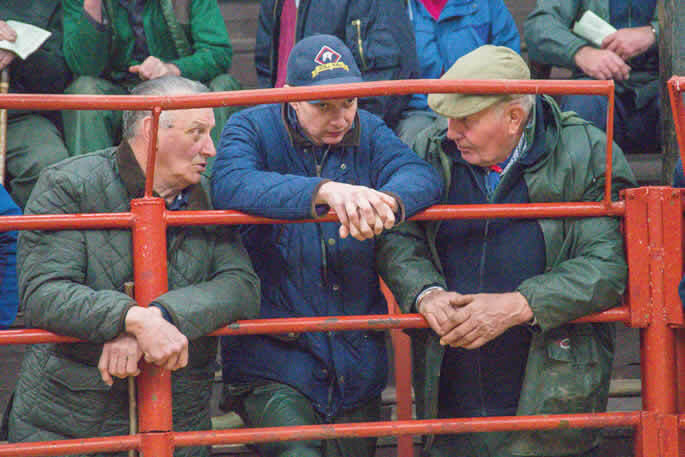 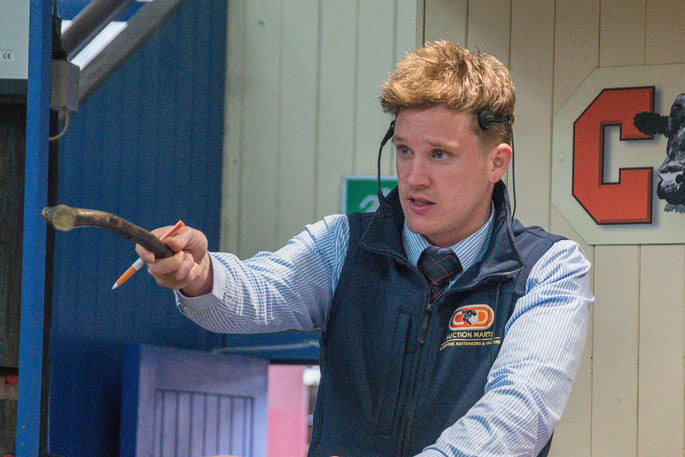 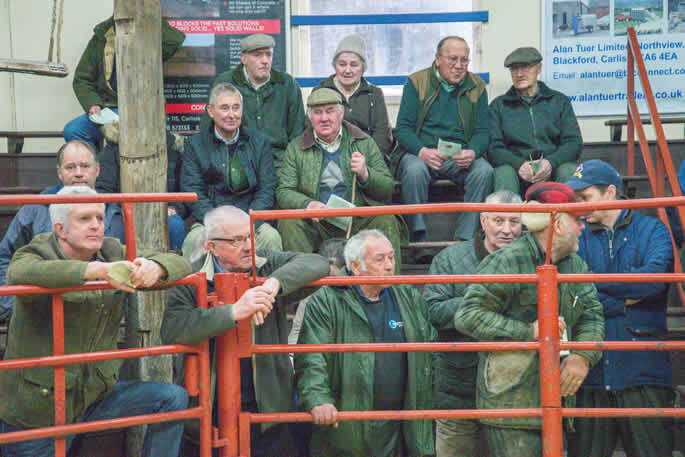 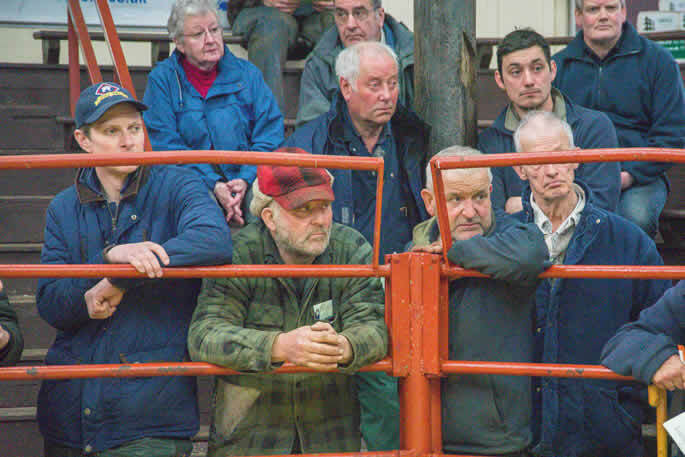 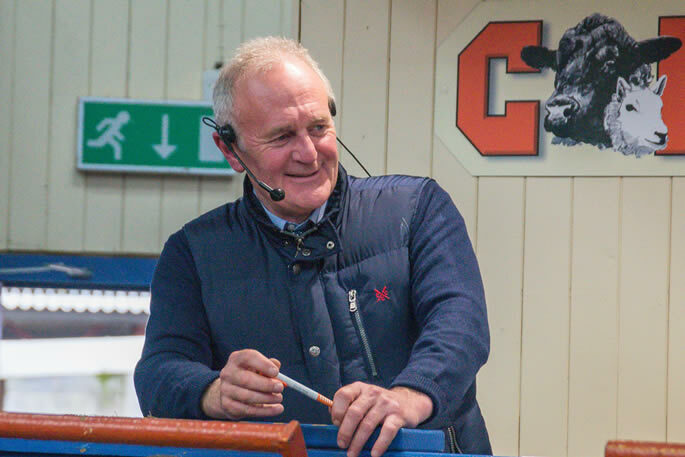 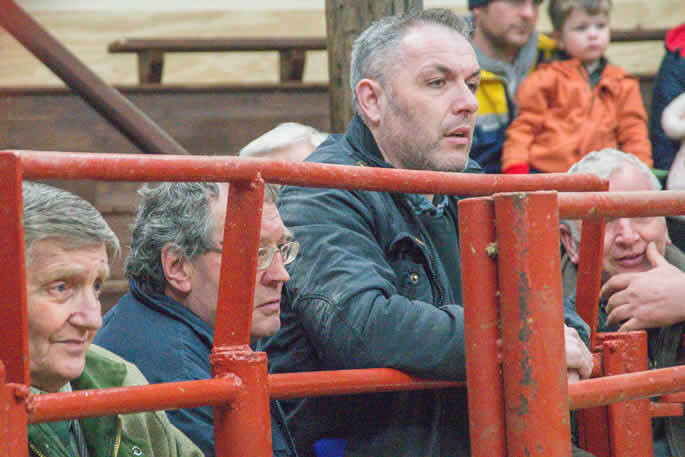 C&D Auction Marts, Longtown held their Kirkcambeck Sale of 505 cattle on Tuesday 27th March 2018. 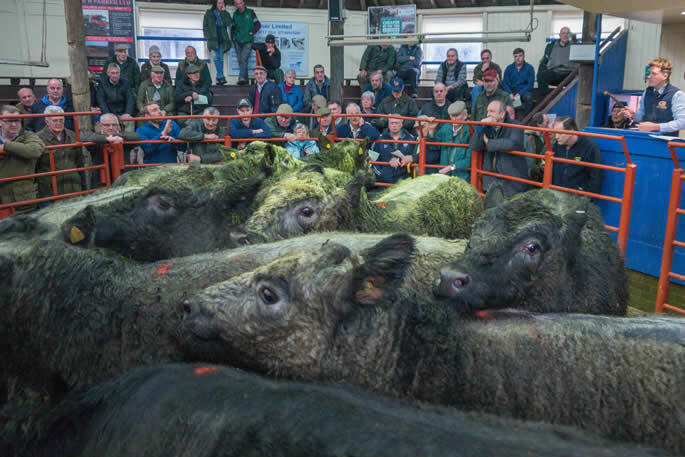 A fantastic show of Galloways and Blue Greys with vendors turning them out to a high standard, although some being slightly less on last years extremely high prices. 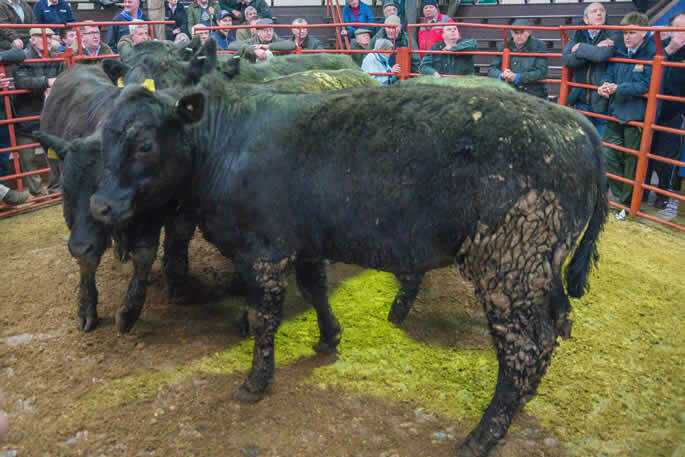 The Continental section would sell to a very similar trade to the past few weeks. 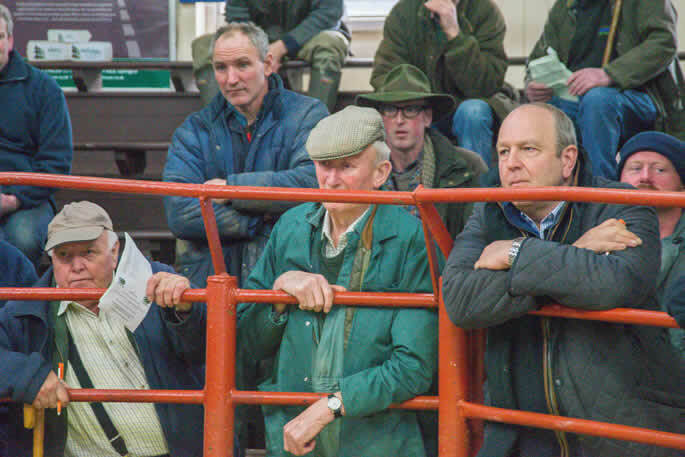 The whole sale average was slightly up on the year for a similar number sold. 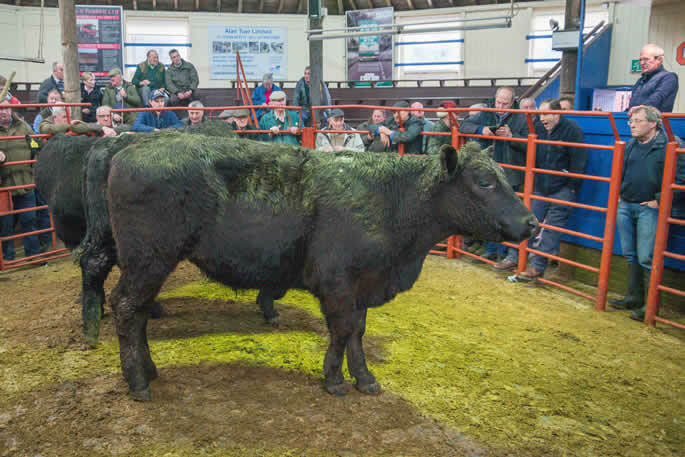 The sale topped at £1,300 for a wonderful Limousin heifer from Sharplaw Farms. 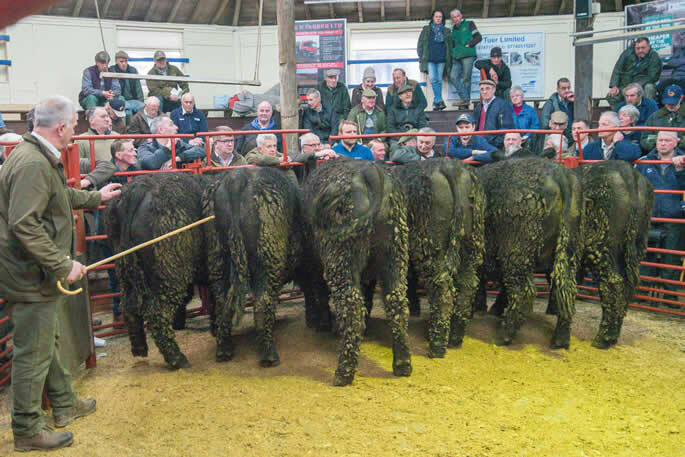 Angus bullocks to £1,240 and £1,180 (x3) from JB & G Thompson, Horsegills. 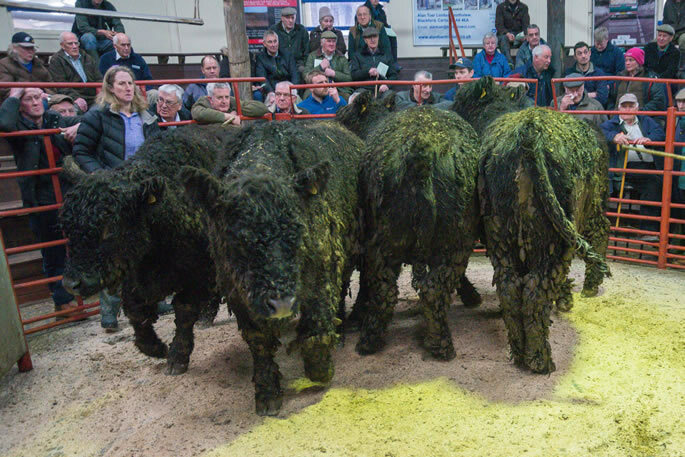 Galloways sold to £1,200 for a bullock from B Dickinson & Co., Brockstones with Whitebred Shorthorns to £1,050 (x8) from J Robertson & Son, Becks. 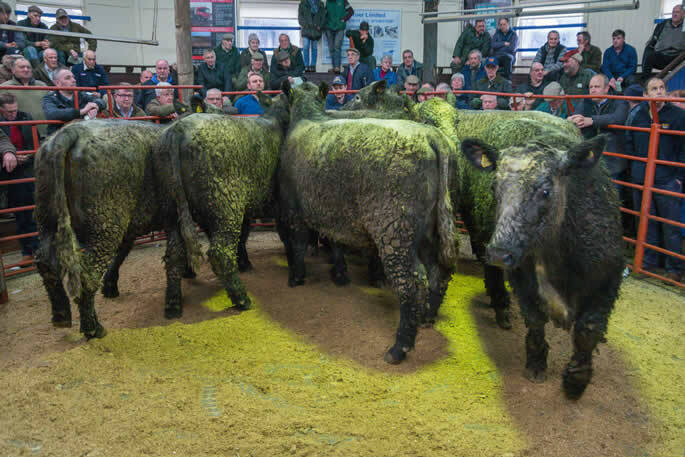 Simmental bullocks to £1,200 from JJ & JM Sanders, Bavington Hill Head with British Blues to £1,170 from AI & V Smith, Westwinds. 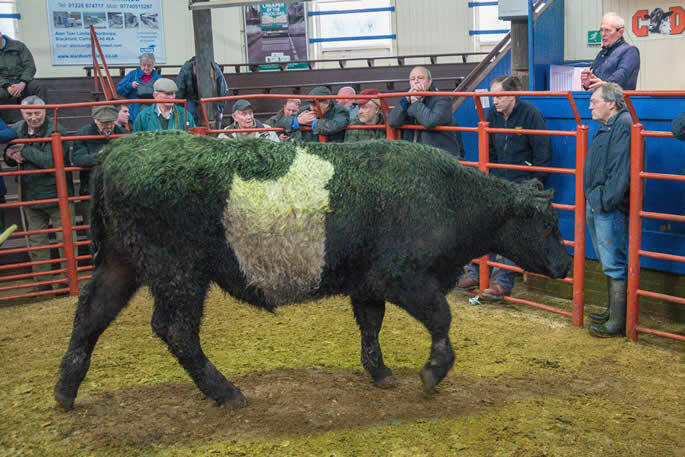 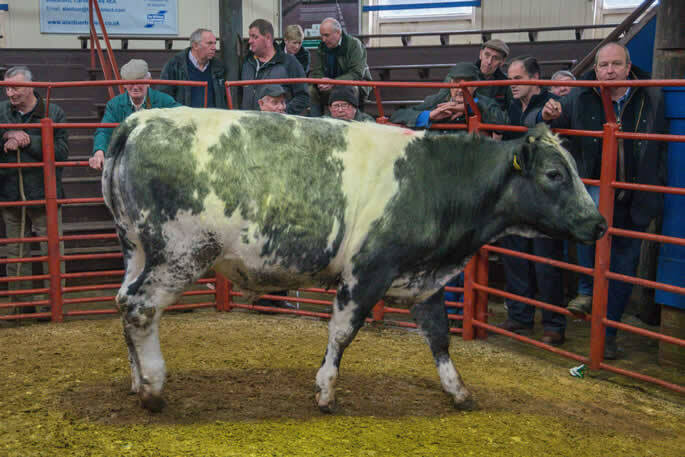 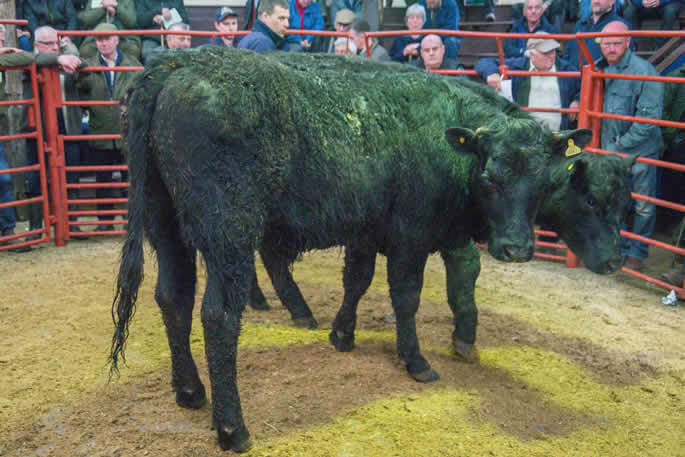 A large consignment of 55 Galloway and Blue Grey bullocks from J Robertson & Son, Becks sold to average £982.50. 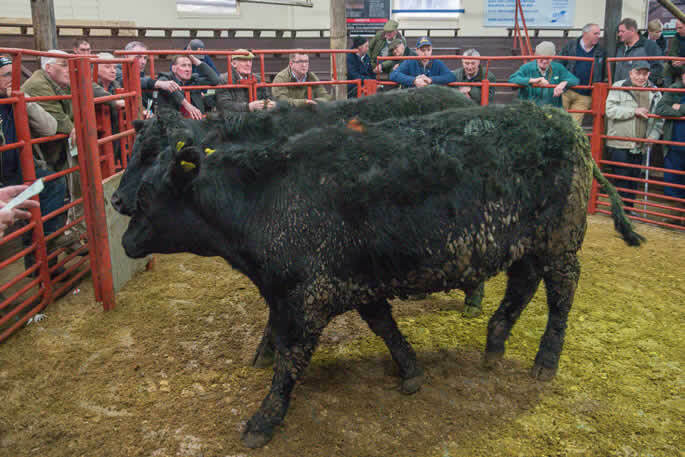 Angus £1,240, £1,180 (x3), £1,140 Horsegills, £970 (x4) Spadeadam, £960 (x2) Bodesbeck, £890 (x4) Kilnhill. 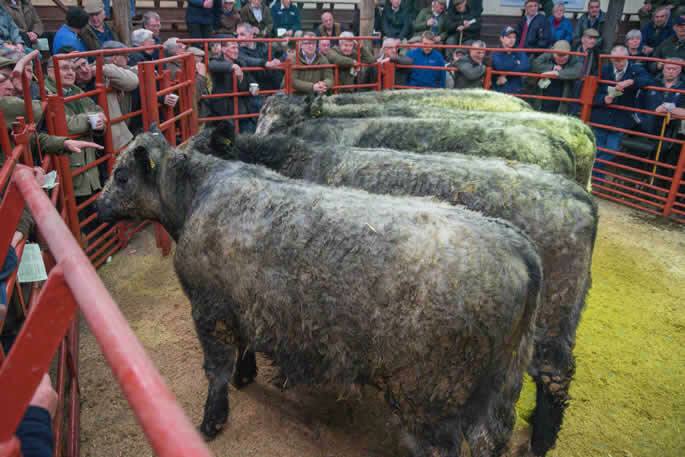 Galloway £1,200 Brockstones, £1,180 (x6) Becks, £1,110 (x5) Shankfieldhead, £1,060 (x5) Brockstones, £1,040 Smithsteads, £950 (x2) East Deloraine, £920 (x10) Becks, £920 (x2) Smithsteads, £860 (x2) Whitbysteads, £850 (x2) East Murton, £850 (x2) Becks, £785 (x3) Whitbysteads. 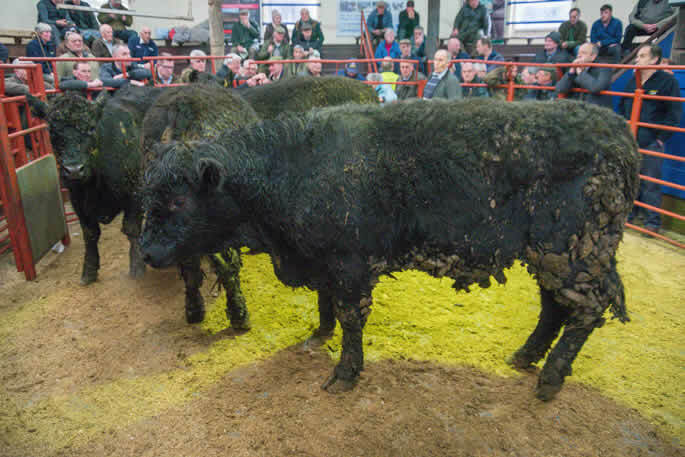 Simmental £1,200, £1,000 (x2), £990, £960 (x2), £950 (x8) Bavington Hill Head, £830, £820 (x5) Allfornaught, £810, £800 (x2) Skelfhill. 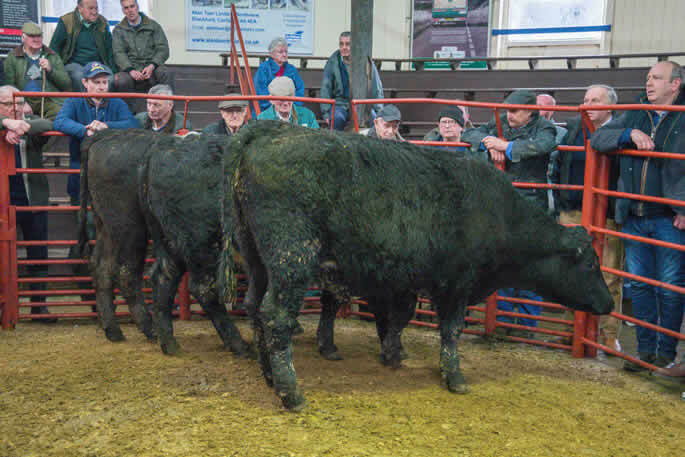 British Blue £1,170, £1,110, £1,080, £1,070 Westwinds, £860 Gibstown. 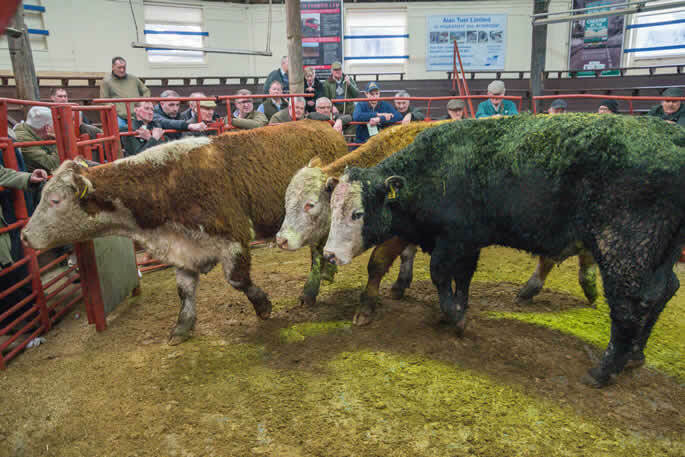 Whitebred Shorthorn £1,050 (x8), £1,000 (x8) Becks, £990 Allfornaught, £850 (x2) Becks, £830 (x3) Whitbysteads, £810 (x4) Halfway House, £800 Barron House, £780 Finney Green, £770 (x2), £750 (x2) Barron House, £750 (x2) Whitbysteads, £745 (x2) Moss Peteral, £740 (x3) Whitbysteads, £740 Halfway House, £720 (x2) Whitbysteads, £710 (x3) Finney Green, £700 Nickies Hill. 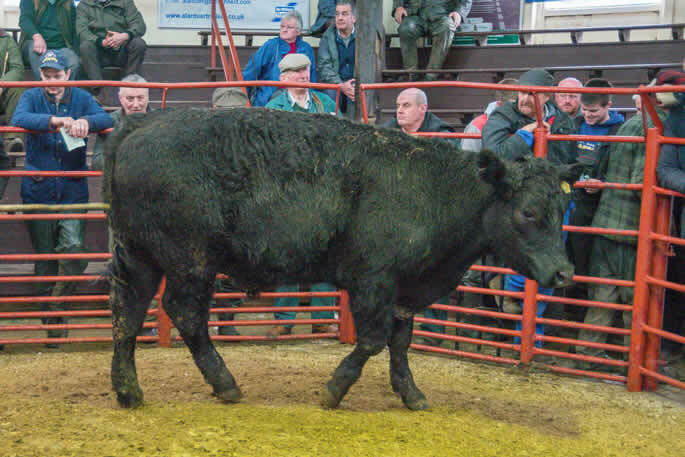 Limousin £980 Allfornaught, £965 Gibstown, £960 (x2) Woodslee, £930 (x6) Lawston, £920 (x3) Allfornaught, £890 Gibstown, £870, £820 Allfornaught. 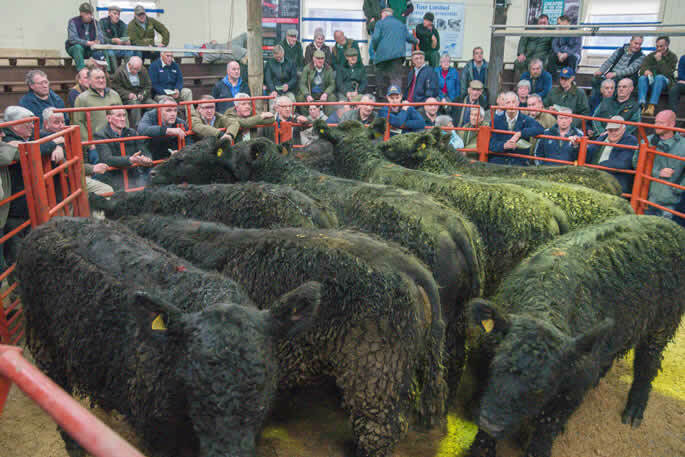 Blue Grey £980 Farney Shield, £960 (x8), £850 (x4) Becks, £815 (x4) Whitbysteads, £810 Nickies Hill, £800 (x9) Farney Shield, £800 (x5) Barron House, £800 Burnfoot of Ewes. 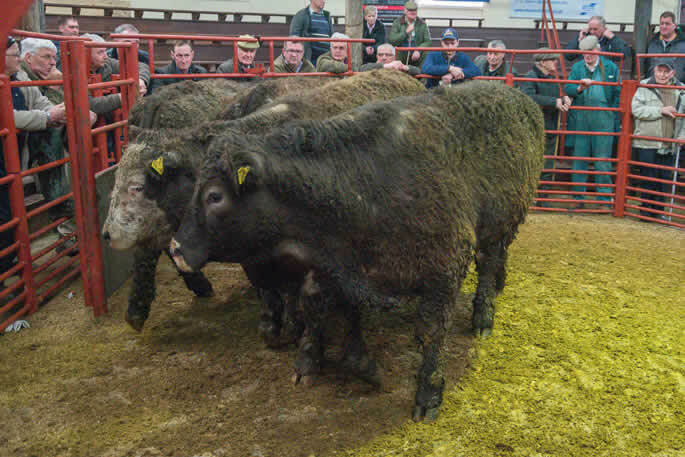 Charolais £960 (x3) Woodslee, £820 Allfornaught. 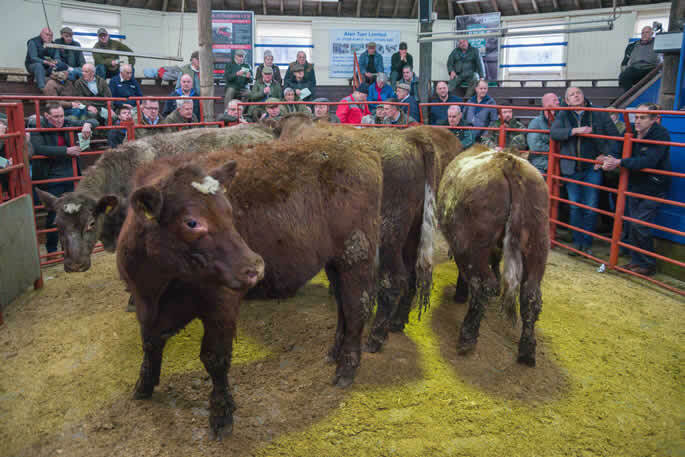 Beef Shorthorn £880 (x8) Minsca, £840 (x3) Pilmuir, £830 (x3) Minsca, £780 (x9) Highfield House, £740 (x3) Minsca. 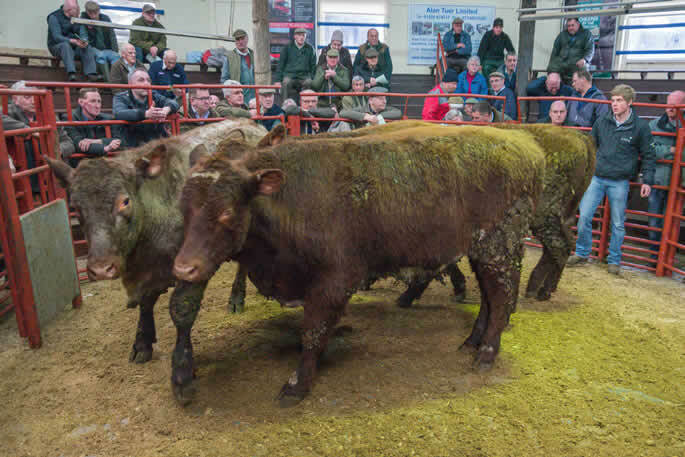 Limousin £1,300, £1,260 Sharplaw, £1,120 Glencartholm, £1,050 Mosshead, £1,010 Kellah, £980 (x2) Mosshead, £940 Sharplaw, £900 Gibstown, £880 (x4) Auchenhill, £870 Kellah, £830 (x2) Skelfhill, £830 (x2) Kellah, £820 (x5) Terrona. 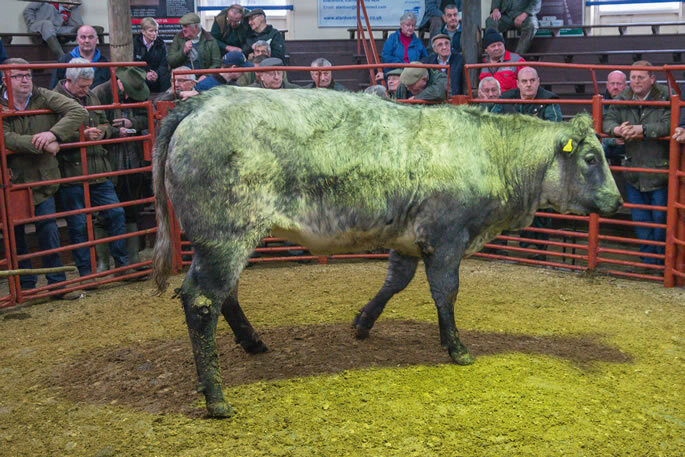 Blue Grey £920, £800 Burnfoot of Ewes. 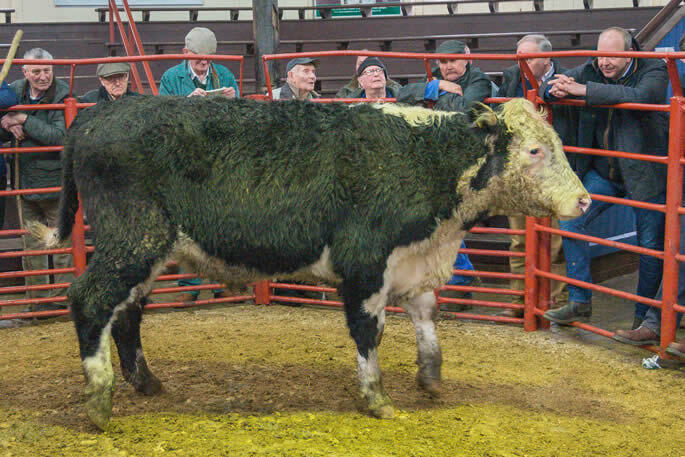 Whitebred Shorthorn £840 (x2) Halfway House. 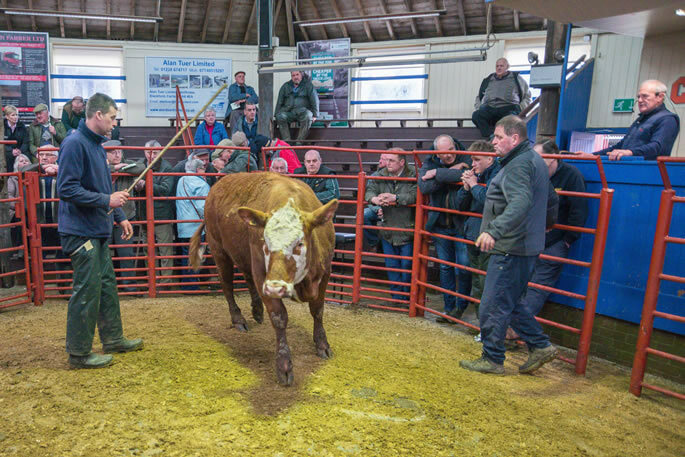 Beef Shorthorn £810 (x2) Pilmuir. 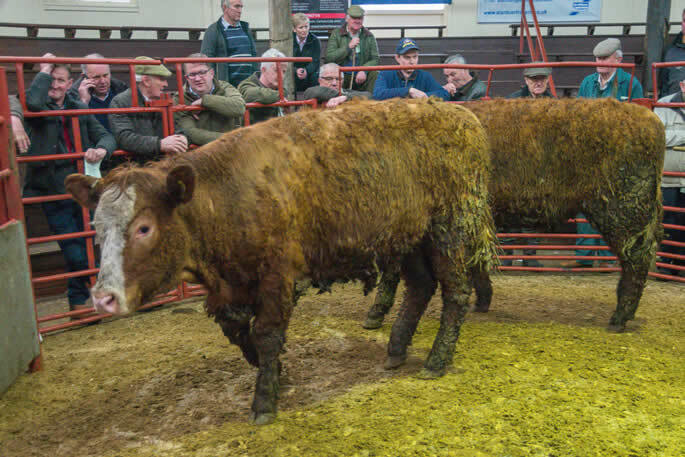 Galloway £610 (x2) East Murton. 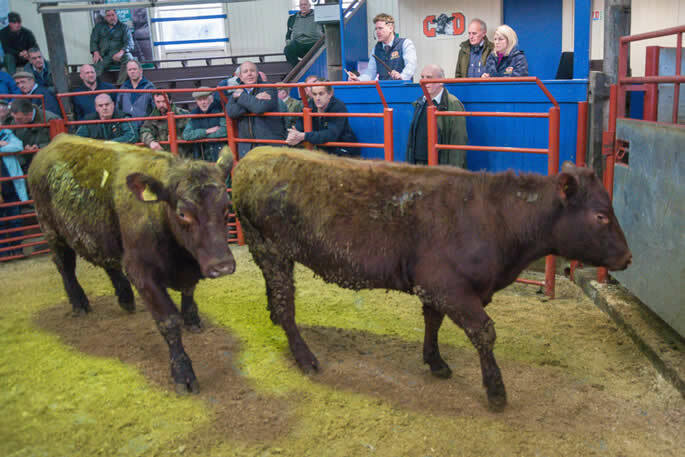 Limousin £1,240 Stanger Hill (24 to average £1,050), £730 (x2) Snab. 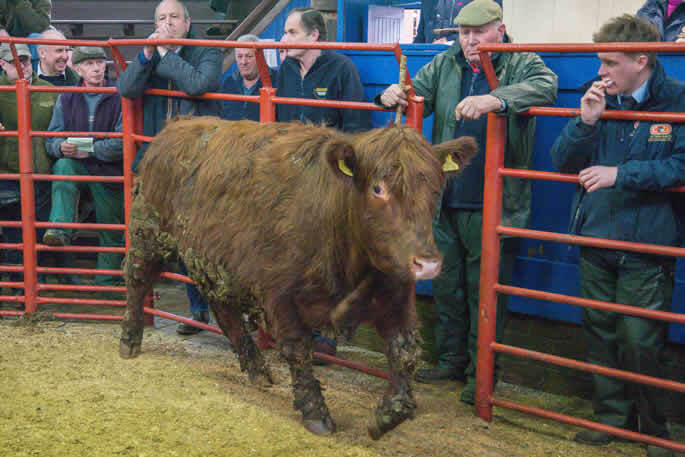 Beef Shorthorn £1,000, £860 (x2), £780 Pilmuir, £710 Highfield House. 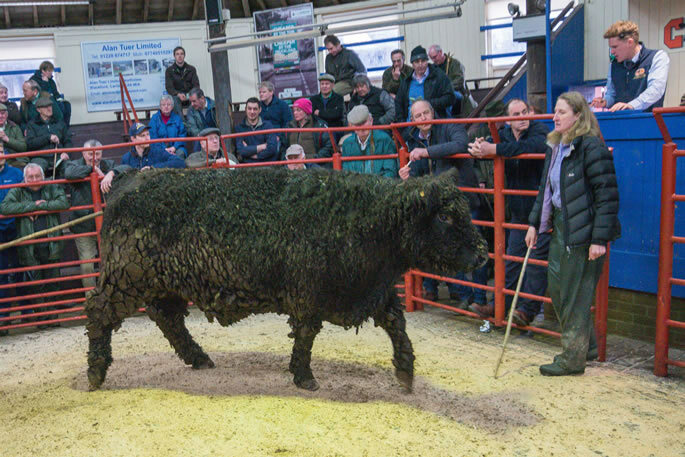 Angus £790 Waterhead of Dryfe. 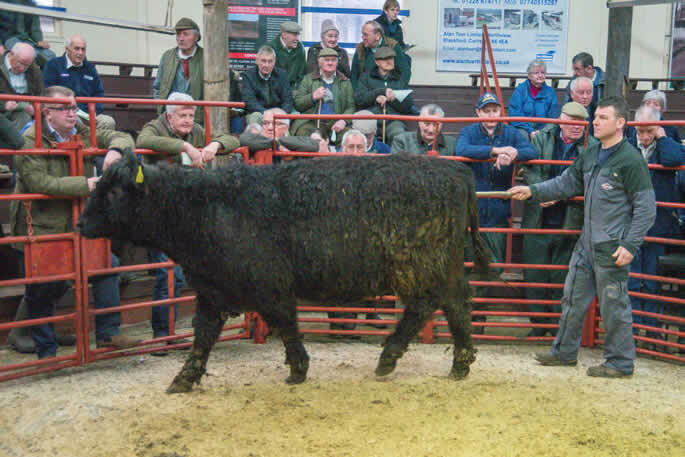 Shorthorn £620, £605 (x2) Waterhead of Dryfe.